Do you want to take your kids fishing in the Champaign-Urbana area, but aren’t sure where to start? Do you want your kids to learn how to fish in the Champaign-Urbana area? 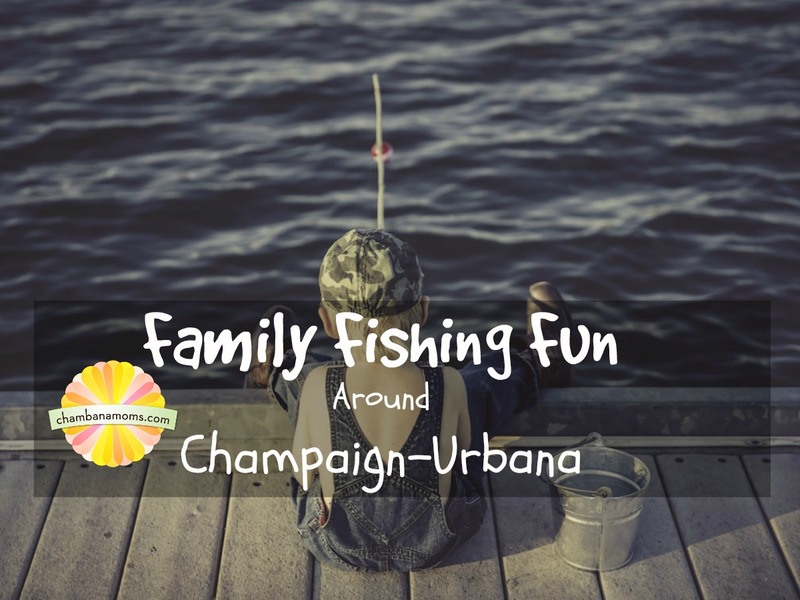 Want to fish together as a family in the Champaign-Urbana area? This summer you’re in luck. There are many opportunities for Champaign-Urbana area children and families to learn how to fish, through FREE fishing clinics and other events throughout Champaign County, all summer long. Did you know about the free fishing clinics run by the Illinois Department of Natural Resources? These will be held in June and July, starting June 5 , on Tuesday mornings and Thursday afternoons at Kaufman Lake in Champaign. People of all ages are welcome. And did we mention these are FREE??? Each clinic will have two portions: education and actual fishing. Fishing equipment and bait will be provided. Registration for this program is required and must be done a week in advance. Children under the age of 13 MUST be supervised by an adult. Register via the Champaign Park District (spots are filling up, so don’t delay). This is the same program run by the Illinois Department of Natural Resources, but this time at Crystal Lake Park in Urbana. Clinics begin at the Large Pavilion in Crystal Lake Park near the Lake House. Call 367-1544 to reserve your spot 48 hours in advance; only 20 spots per clinic, but you may participate more than once. Equipment provided. Dates: June 4-August 31. Mondays: 1pm; Wednesdays: 9am & 1pm; Fridays: 9am and 1pm. TAKE ME FISHING! Saturday, May 26 at Middle Fork River Forest Preserve – Basic fishing instruction will be available to beginners. Cane poles and bait are available to use, but you are welcome to bring your own. The Illinois fishing license requirement has been waived for this event; all fishing is catch-and-release. Kids will have the chance to win awards for the Most Fish, the Biggest Fish, and the Good Sport Award! All ages are welcome. Kids Fishing Derby: A summer favorite event co-sponsored by the Optimists Club of Champaign-Urbana. From 9 a.m. to noon on Saturday, June 2. Free lunch will be provided! Bring your own fishing tackle (rods) – bait will be provided. Adult supervision required. This event is designed for children ages 6-12. Know of a fishing event we missed? Leave it in the comments, or submit your event HERE.